Cleaning is an important issue in the world, although using the traditional methods for gathering debris and dirt can be useful, but it is not able to provide the best result and provide the hygienic area, but using the modern methods and devices such as a high pressure washer, in comparison to the traditional methods can provide the best result in the least time, doing cleaning with this device can have a huge impact on the increasing efficiency. High pressure washer is a device which uses high pressure water for cleaning and removing all kinds of stains, debris and dirt from the aim surfaces. A water inlet, motor, pump, high pressure hose, lances, nozzle and the trigger gun are the main parts of the high pressure device. The pump as the heart of the device, increases the pressure of the water and sprays it out. The pressure and the velocity of the output water are the two main keys in high pressure washer and present the ability of the device in cleaning and removing debris and dirt from the surfaces. By the other word, increasing in the pressure of the water means the higher ability of the device for removing the deeper layer of the dirt, and increasing the velocity of the water means the shorter time needed for cleaning. High pressure washers, based on the output water temperature classify to the cold water pressure washer and hot water pressure washer. They also based on the operating pressure, classify in two groups, high pressure washer and ultra high pressure washer. 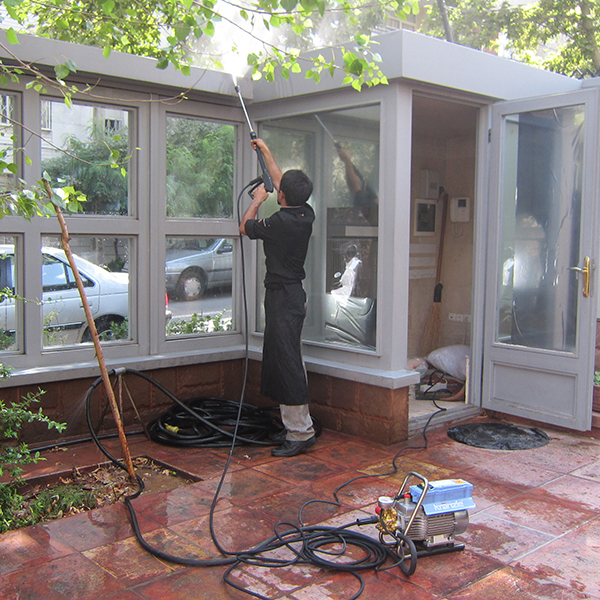 Choosing the right device, has a high impact on the cleaning result and would increase the efficiency, for example, the high pressure washer can be used in the commercial and industrial areas, but the ultra high pressure washer has a special usage in heavy industrial cleaning. Also. In comparison with the cold water pressure washer, hot water device has a more ability to remove grease and oily stains.